FCC Chairman Tom Wheeler says the FCC will "readdress" its options to re-establish net neutrality. A few days ago we had the sad duty of reporting that a ruling made by the U.S. Appeals Court had effectively killed net neutrality as we currently know it. Under the ruling, broadband providers like Comcast, Verizon and Time Warner Cable, were made exempt from current FCC rules governing how they're allowed to sell their internet services. While Verizon and Comcast, among others, have expressed that they'll be maintaining their current practices based on the net neutrality rules, many skeptics are readying themselves for the worst. That said, if FCC chairman Tom Wheeler has his way, the worst may never come. 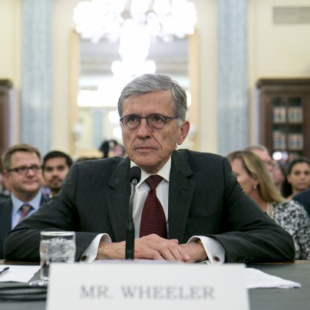 Rather than admitting defeat Wheeler has expressed his intention to find a new way to bring broadband providers back under the FCC's umbrella. "Using our authority, we will readdress the concepts in the Open Internet Order, as the court invited, to encourage growth and innovation and enforce against abuse," he said. While Wheeler didn't offer any specifics as to what the FCC plans to do, there may be options open to the agency. Primarily, if it could reclassify broadband as a common carrier service, it could again place direct restrictions on providers. Otherwise, the FCC might be limited appealing the ruling, taking consumer advocacy measures or obtaining things like voluntary agreements from broadband companies not infringe on neutrality standards. If providers failed to agree to such agreements they would have a relatively free reign to favor certain websites, slow and block traffic to others and even charge users special fees to access popular sites. That in mind, it's clear to Wheeler that something has to be done. "The great revolution in the Internet is how it empowers individuals to both consume and create," he said. "To do so requires an accessible and open Internet, and we will fight to preserve that capability."